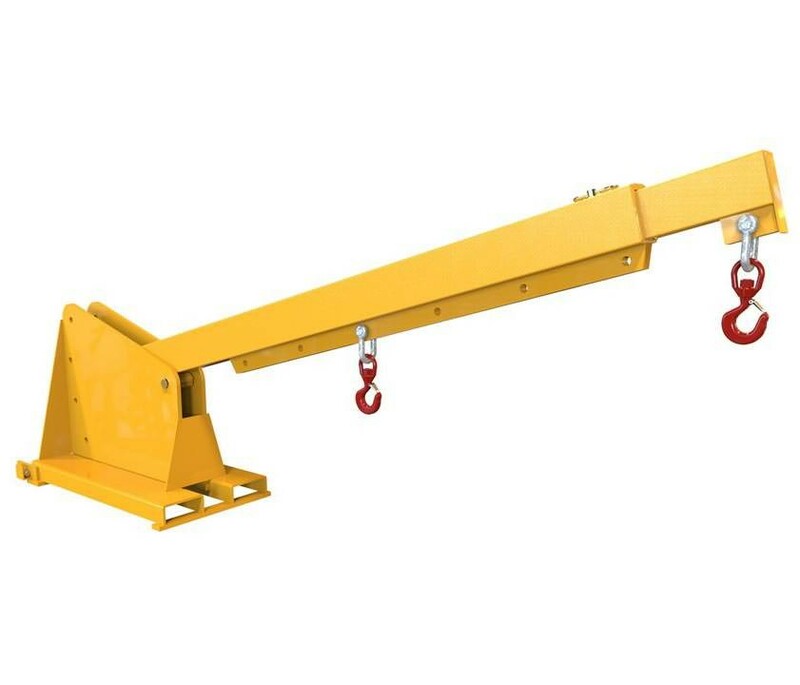 With an adjustable lifting beam height up to 45 degrees, in 5 degree increments, our Articulating extender jib is suitable for handling loads at variable heights. 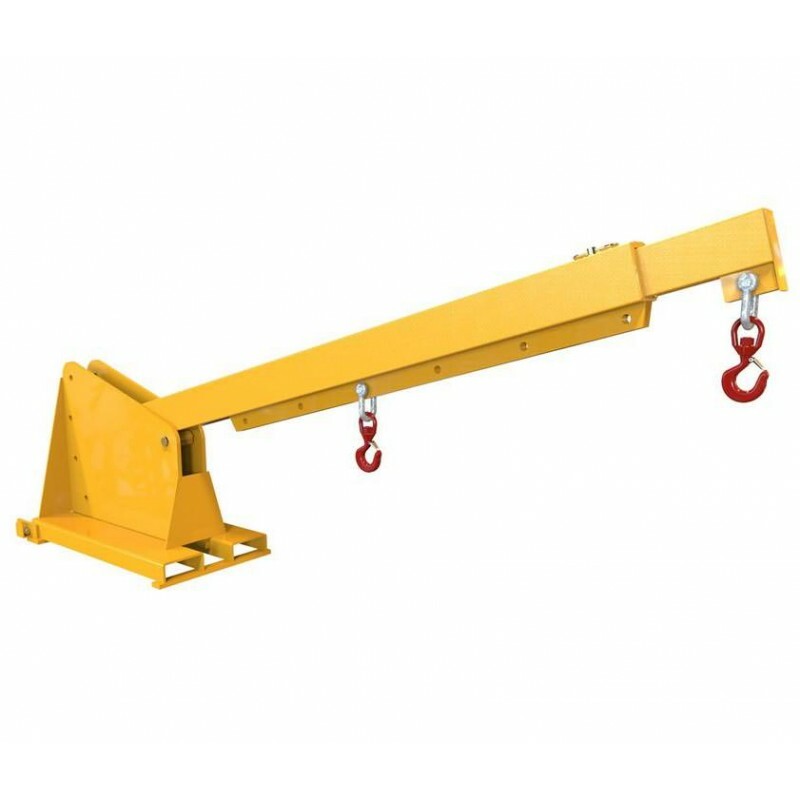 The beam length on the Articulating extender jib is also manually adjustable, with a closed length of 2500mm and a fully extended length of 3000mm, making it well suited for handling extra long loads. Safe and secure fitment of the jib is ensured by heel retention pins fitted to the rear of the forklift forks.